ROSEMARY'S BOOK CORNER: Remember, remember the 5th of November…. Yes, that day has rolled round once again! Guy Fawkes night, which marks the downfall of the Gunpowder Plot of 5th November, 1605, when a group of Catholics, including Guy Fawkes, tried to blow up London’s Houses of Parliament. It has been celebrated in Britain ever since, and later, in the British colonies. In Australia, the sale and use of fireworks was made illegal during the 1970’s. Sensible people, the Australians. They thereby protected countless animals from a night of terror, as well as saving money. 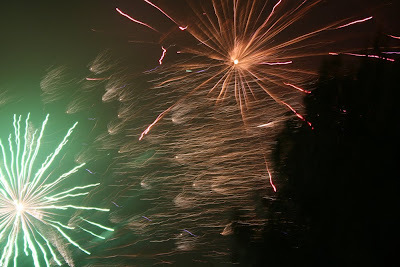 There is a time and place for wonderful firework displays, but not in one’s back yard. Here in South Africa, the meaning of the celebration has been largely lost or is ignored, but fireworks are allowed in certain designated areas. In Cape Town, where I live, many of our beaches have been set aside for tonight, as well of some of our sports club’s parking areas. People may gather in those places to light their crackers and their bonfires. However, year after year there are huge complaints afterwards, regarding the litter left behind. I suppose it is hard to clean up in the dark. My father remembers that, as a child, own his father would bring home fireworks for them all to set off, under his strict control. At that time there was a firework factory on the Cape Flats and all the “cafes” and small corner shops sold them very cheaply. The Cape Coloured community loved Guy Fawkes Night and they even made up tuneful songs which they went round the streets singing, very much like the carol singers do, hoping to raise money to buy their fireworks. Even today, many people choose to ignore the recent restrictions and continue to set off their fireworks at home, in the suburbs. Loud bangs and the whizzing noises from rockets may be heard all over the city, terrifying household pets and small children. I suppose this year will be no different, but I for one, am praying for rain!